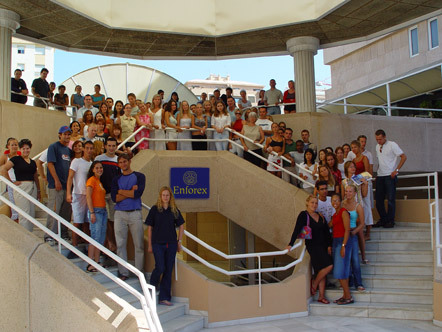 Spanish Courses in Marbella, Spain at Enforex Marbella. 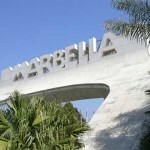 Marbella, located in the province of Málaga is one of the most exclusive summer resort towns in Europe. By the Mediterranean, in the famous “Costa del Sol”, Marbella is located near many Andalusian cities of great interest such as Malaga (birth place of Pablo Picasso, it is also an important cultural center with many historic monuments), Granada (with the wonderful Alhambra), Seville (the center of bullfighting and Flamenco) and Cordoba (wonderful crossroad between Moors and Catholics civilizations). It has a permanent population of 200.000 people during the year and 700.000 during the summer. 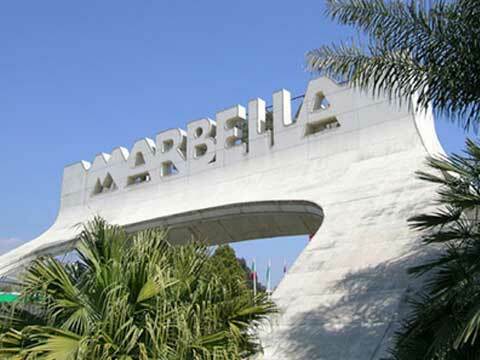 Marbella offers typical Andalusian sunshine and vibrancy, as well as good communications with two international airports: Malaga & Gibraltar. 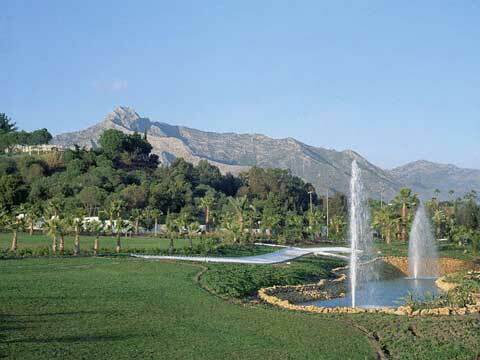 Marbella is also known as golf paradise. People can play golf every single day and even at night because it has the first illuminated golf court in Europe. 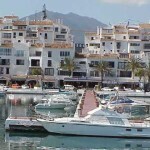 Marbella is famous for its wonderful beaches and its marina where luxurious yachts arrive from all over the world. 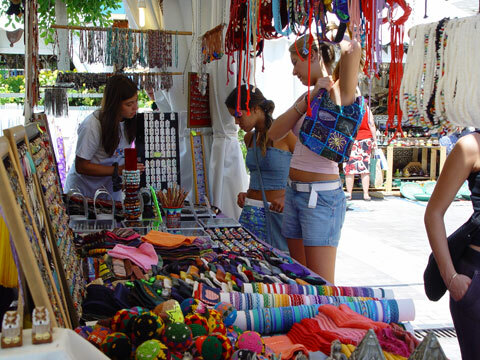 It also has beautiful boutiques, luxurious hotels, lovely surrounding shopping centers and vibrant nightlife. The average temperature all year long is 19 – 25 degrees Celsius and the sun shines around 320 days per year with less than 50 rainy days. 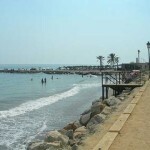 Great beaches, great climate and a unique offering of sports, gastronomy and entertainment… a visit to Marbella is a guarantee for an unforgettable and exclusive vacation as well as a great location for full immersion Spanish Courses. Type of building: complete 3-story new building. 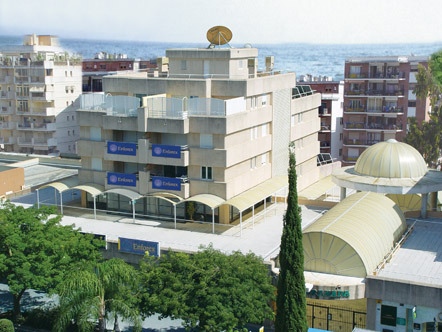 The school is situated on the main terrace with a direct entrance and a wonderful view. 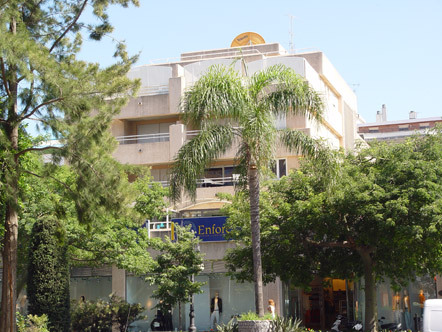 Location: The Enforex school is located downtown, in an well-communicated area by bus. 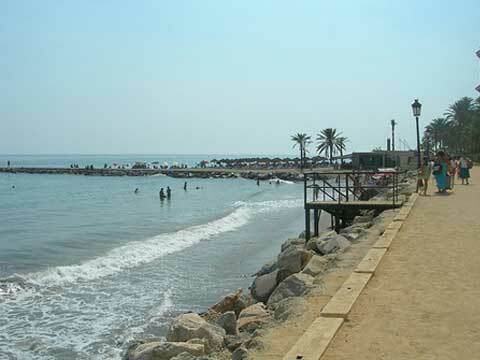 It is only 5 minutes walking from the best Marbella beaches and the Maritime Promenade. Facilities: Large common room with vending machines; study hall and reading room; well equipped library and video library; Teachers’ room; 7 computers with free Internet access. Big terrace of 3.500 m2. Classrooms: 17 classrooms (14 inside and 3 outside) with natural light from the terrace, audio-visual equipment and air conditioning. The Enforex Spanish Language School is recognized by the Universidad de Alcala with the CEELE Certification (Calidad de la Enzeñanza de Español como Lengua Extranjera), and is also an Instituto Cervantes Accredited Center. 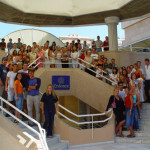 All prices for the Spanish Courses include: Spanish lessons as listed below, level assessment and end-of-course certificate, welcome pack containing a map of the city, orientation tour, reception at the school, tutor support, internet area and wireless connection with unlimited Internet access and email and 24-hour emergency phone line. 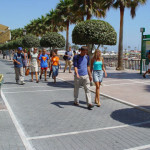 All Intensive 25 and 30 Spanish courses in Marbella also include 5 Spanish Culture and Conversation workshops per week. Minimum enrollment age: 16. Each lesson is 55 minutes long. Intensive 20 Spanish Course — Maximum of 10 students per class. 20 Spanish lessons per week. Minimum age: 16. Classes are held Monday-Friday. All levels from Beginner to Advanced are offered. Intensive 25 Spanish Course PLUS Workshops — Maximum of 10 students per class (maximum of 16 students per class in cultural lessons!). 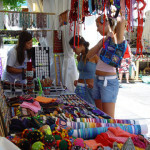 20 Spanish lessons per week PLUS 5 Spanish Culture and Conversation workshops each week. Conversation lessons each week cover every aspect of Spanish culture and civilization from the deeply rooted traditions to topics most relevant to the culture. Minimum age: 16. Classes are held Monday-Friday. All levels from Beginner to Advanced are offered. Super Intensive 30 Spanish Course — Maximum of 10 students per class (maximum of 16 students per class in cultural lessons!). 20 Spanish lessons per week PLUS 5 Spanish Culture and Conversation workshops AND 5 Semi-private lessons each week (4 students or less). Minimum age: 16. Classes are held Monday-Friday. All levels from Beginner to Advanced are offered. 2019 Starting Dates for all Spanish Courses in Marbella for all Adult programs: Courses start EVERY MONDAY for all Spanish language levels from Beginners to Advanced! Holidays 2019: 1 January, 6 January, 28 February, 29 March, 19 April, 1 May, 11 June, 15 August, 12 October, 19 October, 1 November, 6, 8 and 25 December. Group classes missed due to holidays are NOT made up (when 2 holidays fall in the same week a 10% price reduction will be applied to that week). One-to-one classes missed due to holidays will be made up during the rest of the week. Summer Spanish Camp for Children and Teenagers — Supervised Residential (On Campus) Summer Spanish Language Program in Marbella for children ages 5 through 13, and Summer Spanish Language Program for teens ages 13 though 17. Click here for program details and information for our CHILDREN’S Spanish Camp in Marbella (5 to 13 years old). 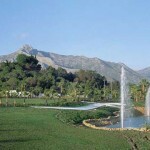 Click here for program details and information for our TEEN Spanish Camp in Marbella (13 to 18 years old). Spanish and Flamenco or Salsa. 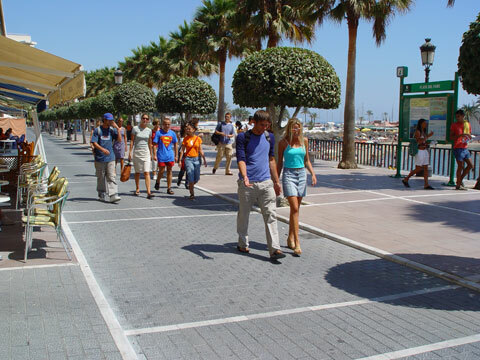 Host Families: Living with a Spanish host family in Spain (Spanish homestay) will enable the student to see and understand many aspects of the Spanish lifestyle getting a better knowledge of Spanish culture, traditions, etc. Many host families have been chosen for these purpose in order to make the stay of the students as pleasant as possible. Students will be treated as part of the family. We will always try to accommodate our students within 20/30 minutes maximum commute from the schools. Students may choose between single or double room as well as half board (breakfast & dinner) or full board (breakfast, lunch & dinner). Prices include meals as stated, bed linens and laundry once per week. Apartment Shares: They are located in the very center of the city. There are apartments of different sizes and characteristics according to the needs of every student. Each apartment has a completely equipped kitchen with microwave, pans, cutlery, etc. They also have a washing machine and iron. 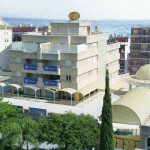 A deposit will be required upon arrival (150 Euros). The deposit will be returned to the student at the end of the stay provided there is no damage to the apartment. Prices include: Bed linen, blanket, access to fully equipped kitchen & laundry room, shared bathroom, shared TV, central heating, water, electricity & gas costs. Cleaning service is not included. 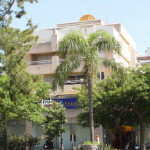 Individual Apartments: Private apartments and hotels can be booked upon request. If you are interested in this type of accommodation please let us know at the time of application indicating travel dates, apartment location, category and size preference. Prices will vary greatly depending on these factors and also on the time of the year when you are traveling. We will provide you with a quote on the apartment or hotel for your approval and prior to final confirmation. High Season Supplement of $ 58.00 per week applies to Apartment Shares from 15 June to 18 August 2019. Private bathrooms in Host Families and Apartment Shares available on request (extra charge of $56/week applies). 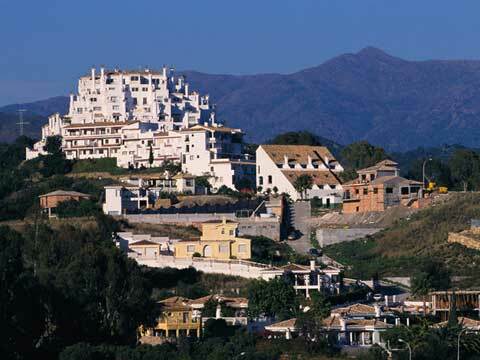 Afternoons (half day excursions): Cuevas de Nerja “Costa del Sol”, Beaches, Old Town, Tour Mijas, Ronda or Puerto Banus. 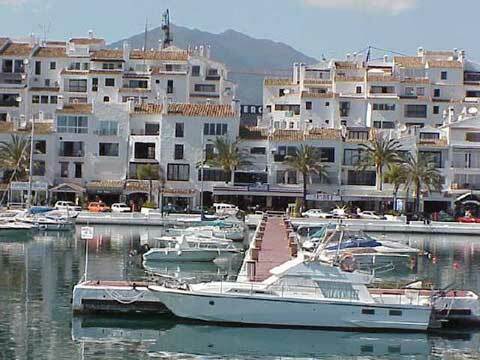 Full Day and weekend Trips: Granada, Cadiz, Antequera, Gibraltar, Tarifa, Sevilla, Córdoba or Malaga Excursions are optional and will involve additional charges to cover transportation and any entrance fees required. Students will be given a schedule upon arrival and may sign up for those excursions that interest them during the week. Airport Transfers: Available upon request and offered at extra charge. Transfer from Malaga Airport one-way: USD 110.